Mr Antis and his ‘contrivance’. So… How about them there fancy spinning wheels? York became a centre of excellence for wheelmakers in the late 18thC and early 19thC so I didn’t have to look more than a few miles down the road from my house, to find out about some innovative – but stylish – wheels and their makers. When it came to pretty treadle wheels, “Probably the finest English maker of wheels of this type was John Jameson of York…” [Peter Brears, ‘The York Spinning Wheel Makers’]. Jameson’s wheelmaking business seems to have come about as result of travel across Europe and a wish to provide employment for “the industrious poor”. As we shall see, innovations in British wheel design came from beyond the UK. Like spinning; spinning wheel making was sometimes seen as useful employment for the unemployed. (Carlisle Buildings is now St Williams’ College, by York Minster). Jameson started his manufactory round the corner, in Goodramgate, as a work of philanthropy. In ‘The York Courant’, 22nd August, 1780, Jameson advertised his toy workshop/turnery, citing the city of Nuremberg where “there are neither beggars nor poor rates” as “the inferior class of people” were able to make a living making toys and small wooden items. [Quoted in Baines]. It seems Jameson had travelled in Europe: Germany in particular, seems to have had a continuing influence on innovations in the Saxony wheel. As he wasn’t a Freeman of the City of York, he couldn’t trade within the city walls, so set up on Goodramgate and within a decade, had moved to Carlisle Buildings (St William’s College’) in the shadow of the Minster. 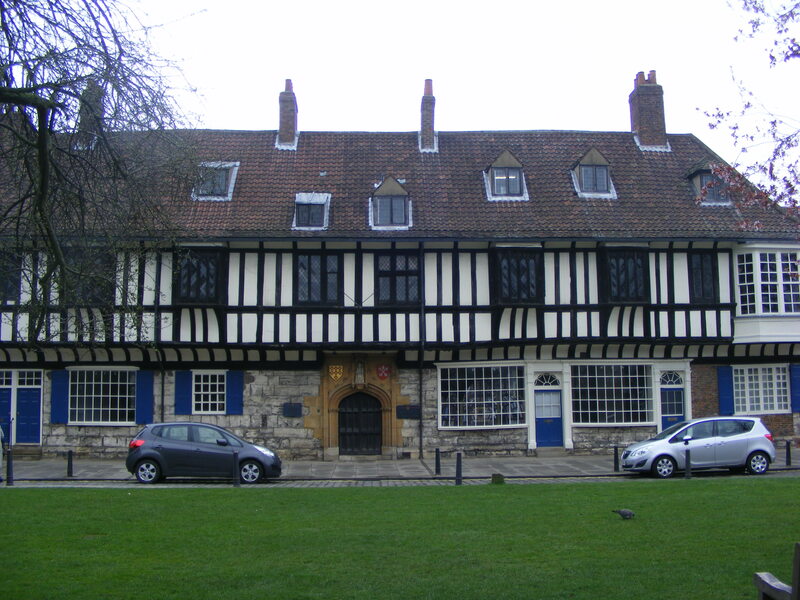 Both sites close by The Bedern, York’s notorious slum, AKA “Hagworms’ Nest”. Catharine Cappe. Image Courtesy Long Preston Heritage Project. At the same date Jameson was establishing his turnery, only a few streets away, Unitarian * philanthropist Catharine Cappe was taking the city’s “poor miserable girls upon the town” (ie: child prostitutes) and transforming them into industrious handspinners. Mrs Cappe had seen firsthand the appalling working conditions of the children employed in a York hemp factory and wanted to establish a Spinning School on Andrewgate, to give them a chance in life. It’s possible Jameson supplied the York Spinning School’s machines. Jameson’s toy turnery seems to have evolved into a spinning wheel manufactory; making toy and normal scale wheels. He may also have imported wheels readymade from Germany, as Baines cites an advertisement from 1789, selling the “‘Best inlaid and mahogany German and other spinning wheels’” [Baines, 159]. Jameson sold up in 1806, selling off his tools and all his wheels. It is intriguing that these refined upright parlour wheels were the ones to incorporate an innovation to speed up the spinning. It is also interesting that those post Industrial Revolution inventions to speed up the now dead-in-the-water handspinning industry, both came from US inventors. (See our discussion of The Minor’s Head). Antis mentioned that his ‘contrivance’ would help both those who spun for a living and ‘ladies’ who spun for pleasure. (Putting paid to the myth of “Victorian parlour ladies’ wheels” as Antis seems to take it for granted a fine parlour wheel can also be a workhorse). Baines quotes a letter Antis wrote to the Society of Arts, saying: “‘I had it tried by a lady her, who sometimes spins for her diversion, who… thought it might save a person at least two hours, if not more in a day; which would be a great object for poor people.’” [Quoted in Baines, p.165]. Although I suspect “a lady”’s guess of a two hour time saving was the generous side. Two years later, Antis improved his design. Antis was an American-born Man For All Seasons; musician, composer, ‘mechanic’ and inventor; not confining himself to spinning innovations but also developing machinery for coal mines, mortice locks and “night bolts”, amongst other items. I found an account of Antis in The General Evening Post, April 11th, 1786 where an anonymous writer described his correspondence with “Mr Antes” of the Moravian Settlement at Fulneck, Leeds. The anonymous writer was establishing that James Bruce Esq of Kinnaird had been to Abyssinia – Mr Antis confirmed it in a letter. (It looks like poor Mr Bruce Esq wasn’t believed when he told tall tales of his travelling, so the anonymous writer contacted Antis, who had travelled with him). Antis (here called ‘Mr Antes’) was born in Pennsylvannia, US., to German parents, “having shewed early abilities as a mechanic”, he moved to Europe. Antis became a watchmaker, although he served no apprenticeship. He travelled to the Moravian settlement at Cairo (slightly more exotic than Leeds!) Mr Antis lived for 11 years in Egypt before coming to the Fulneck Settlement in Leeds. He retired to Bristol where he died in 1811. Before leaving America, he made instruments and a violin he made in 1759 is thought to be the earliest stringed instrument extant, made in the US. It was only after doing a considerable amount of legwork to track John down, I realised he had a Wiki page. Doh. (Although there he was ‘Antes’ which probably explains my failure to pull that up on a straightforward search). I had already found a John “Antos” married twice, in both York and Calverley, West Yorkshire, to Susanna Crabtree in June, 1786 (marriages three days apart – maybe the second was in a Moravian church?) Crabtree is a West Riding surname, so no doubt Susanna was from somewhere not too distant from Fulneck. On their marriage in York, her birth year was given as about 1761 and John’s as around 1746. You can read more about Fulneck Moravian settlement here. 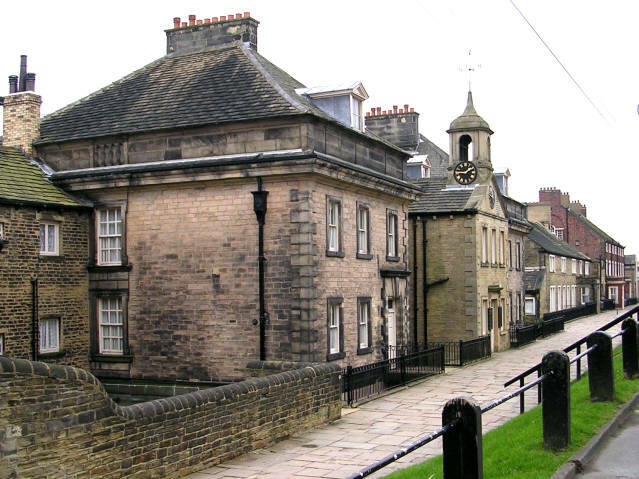 Moravians, like Quakers, were a force for social change and philanthropy in 19thC Yorkshire. They lived in a self-sufficient community where textile production was important. “his contrivance may be added to old spinning wheels of every construction ; and that it would not considerably increase the price of a new machine, made according to his plan. Doughty wheel with Antis’ ‘contrivance’, here. There is also a Doughty wheel illustrated in Baines, p.166. The wheelmaker’s mark was an ivory circle inscribed: ‘DOUGHTY YORK’. John Doughty died in 1801. His wife, Martha, took over. Later her name was Marshall – it’s not known whether she reverted to a maiden name or married his business partner. Wheels marked ‘Marshall late Doughty’ date between 1807-24, when she ceased trading. Martha Marshall sold the business to John Hardy. 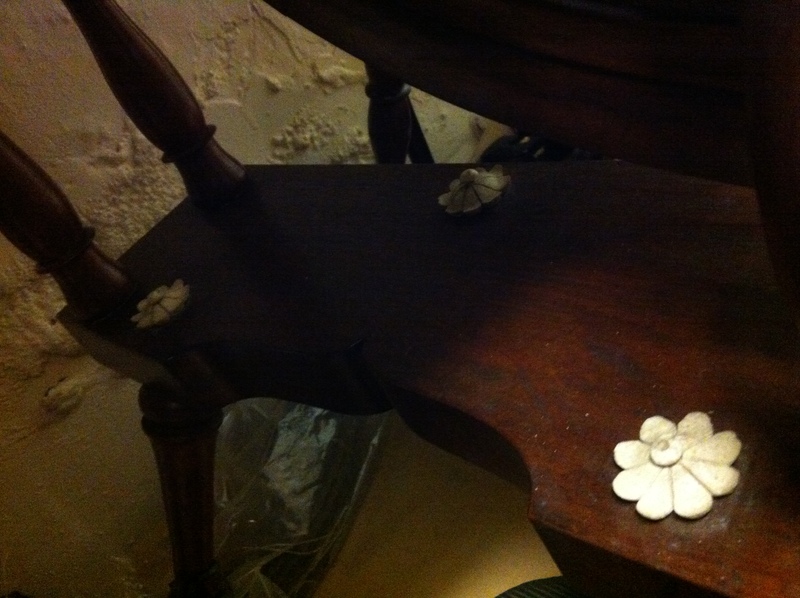 His ivory disc read:‘HARDY LATE MARSHALL’. In 1832 he stopped trading. In the decline of Doughty’s company, we see the end of handspinning, as it was known. I am delighted to find, during a middle-of-the-night period of wakefulness, your references to Catharine Cappe and her knitting school. However, you state that she was a Quaker which is incorrect. In fact, she was a Unitarian and the second wife of Newcome Cappe the minister of the Unitarian Chapel in St. Saviourgate in York. Catharine is memorialised within the Chapel (see below). Increasingly Catharine is being recognised, in her own right, for her pioneering work with the York Greycoat School, the York Female Friendly Society and for the rights of women visiting in hospitals. Interestingly Linda Perriton, a lecturer in the York University management school, has just won an award for an article on the exemplary and pioneering work of Catharine and Faith Gray in managing social welfare prjects in York. 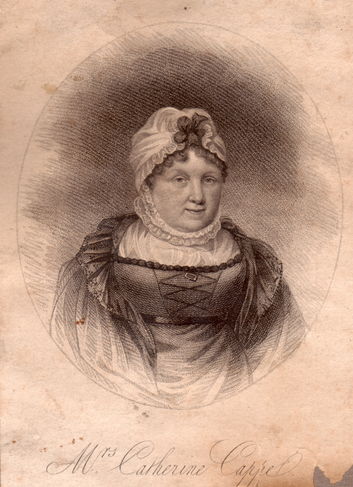 Catharine was also the lifelong friend of Hannah Lindsey the the wife of Theophilus Lindsey who resigned as vicar of Catterick and established the first “Unitarian” church, so-called in Essex Street of the Strand in London. and thy eternal reward secure. ‘Spinning Wheels, Spinners and Spinning’, Patricia Baines, Batsford, 1977.